Another big-time record off the upcoming "Suicide Squad" soundtrack, which, along with the film, drops on Friday (Aug. 5), has been given an early premiere via Zane Lowe of Beats 1 radio. 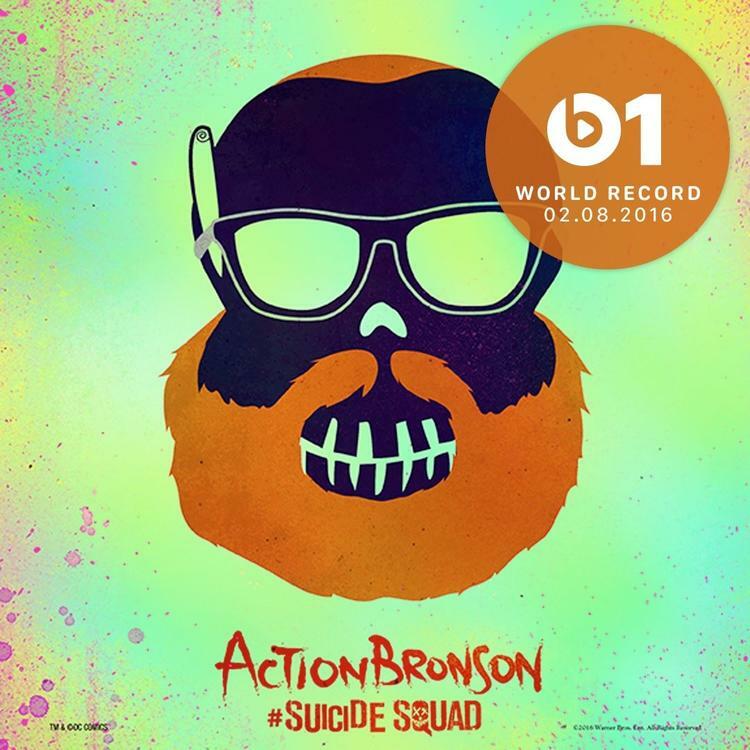 Yesterday it was Kehlani's "Gangsta," and today's "World Record" is a collab between Action Bronson, Mark Ronson, and Dan Auerbach of The Black Keys entitled "Standing in the Rain." This is the third collaboration involving Bronson and Ronson, following the Mr. Wonderful tracks "Brand New Car" and "Baby Blue." "Standing in the Rain" is a remake/reinterpretation of the early '70s song of the same name by the Cleveland rock band The James Gang. After playing a healthy snippet of the track, Lowe got Ronson on the air to tell him how the collaboration came about and how it landed on the star-studded soundtrack. Check out the full tracklist of the "Suicide Squad" soundtrack here.